Home Instead is the best care giving agency in Chicago. Having a family member suffering from Dementia, Parkinson's and Narcolepsy we started home care services about 5 years ago. After navigating different providers and their caregivers, we quickly found that the time required to train new caregivers often had to be repeated again and again as finding a long-term consistent caregiver proved to be difficult. We also found it was difficult to find a male caregivers. That was until we found Home Instead. Home Instead has been providing exceptional care giving services for my father-in-law for over 3 years. From bathing, exercising, meal preparation, helping with groceries, attending doctors appointments, providing fellowship and many other daily activities, the people at Home Instead have always listened to our care process and integrated it with their caregivers. We have had a total of two male caregivers over this period and our family has developed great relationships with both of them. Having a disabled sister from birth, our family has used care giving services for the disabled for over 47 years. As a result, we have very high expectations regarding quality of care for those we love with no exceptions. The relationships we have developed with the Home Instead staff (Dotti, Roy, Bruce, and others) is what has made our experience what it is today. These people CARE about my father-in-law and our family and that is what matters to us. I am writing this review because I know how difficult it is to find quality care at affordable prices and I want people to know that Home Instead is great. Home Instead also works directly with our insurance provider to make the financial side an easy process as well. This Agency provided competent, caring and kind caregivers for my late wife. They were punctual and ready for all eventualities. They made the patient very comfortable and were of help to me. When necessary, substitute care givers were provided. The periodic visits of the Nurses were also helpful. Home Instead has offered every service we needed, and more. The caregivers arrive on time and they're always kind and cheerful. My mom was fragile when she arrived home from the hospital and our family was frightened she would not be strong enough to be at home. The caregiver from Home Instead saved my mom's life, I'm sure of it. My mom said again and again how gentle and reassuring she was with her. That positive attitude contributed immeasurably to my mom's recovery. The caregiver had to coordinate many interim medications from the hospital, and visiting services from the hospital. She had to be supportive to my dad, who was very worn down from my mom's illness and hospitalization. Our caregiver from Home Instead has great intelligence, and makes the best choice possible when there is more than one way to solve a problem. She is excellent with medication reminders and always there to offer cheerful kind support. My parents feel safe with her and communicate excellently well with her. When she has had to be away, Home Instead has always worked hard to find someone who will be able to take good care of my mom and be considerate and respectful to both my parents. My mom needs physical help to walk and very close complete care in order to shower. Our caregiver has always made my mom feel comfortable and safe. Life at home truly is possible for both my parents, thanks to Home Instead. This is an excellent agency with high quality caregivers. The case managers take the time to determine what you need and then help you find the right caregiver for your situation. The caregivers are helpful and kind. They arrive on time and are well-trained. This agency is very professional and has really helped make my life easier! I used Home Instead for 18 months for the care of my 95 year old father. He needed caregivers 24/7. Although some caregivers were not able to meet my high standards, there were many who did. Two caregivers, in particular, became like family to my dad and myself. Home Instead was very responsive to any concerns I had, including always having someone available to answer the phone 24/7, and having a nurse who could make a quick visit if needed. Everyone was responsive and pleasant. Even the billing department! I would highly recommend Home Instead to anyone looking for caregivers for their loved ones. I have used Home Instead several times - always when in urgent need. They have listened to my need and description of the kind of person I think would work best with my mother and have done a nice job of matching. All of the caregivers they have sent us have been kind, experienced and dependable. The organization is very professional, caring and helpful. I hired a caregiver for my mother-in-law so she could be comfortable at a series of family events that occurred over a weekend. The caregiver was fantastic and the coordination from the Home Instead staff was top notch. Everyone was helpful, supportive and caring. Lauren P made sure every detail was thought of and covered! I am very pleased with my caregiver. She is thoughtful, reliable, and takes good care of me. Home Instead is beyond excellent. They are so very accomodating and the caregivers are very good at what they do and very reliable. We have loved everyone they have sent to us. I would recommend them to anyone. Home Instead is known for setting the gold standard in senior care-giving. This reputation was a significant factor in our family's decision several years ago to entrust Home Instead with the responsibility of providing personal care for my parents after my mother suffered a stroke. So when my aunt suffered a brain hemorrhage a year-and-a-half ago, leaving my uncle by himself in their Evanston apartment, we knew who to contact. It was a different city in a different state, but we knew what we would be getting with the high standards of Home Instead. I have been truly impressed with the quality of care that my uncle has received from Home Instead Senior Care based out of Skokie, IL. Chelly, the Client Care Manager, has been my primary interface in coordinating care for my uncle. She has done an outstanding job in all aspects of the process. She has found top-notch caregivers who have not only made my uncle feel comfortable and well cared for, but who have been able to establish an excellent rapport and friendship with him. I have seen a very positive change in my uncle being more conversant and engaged. As I live at quite a distance away in New Jersey, Chelly does an excellent job at keeping me apprised of how things are going and about any concerns or suggestions that the caregivers may have expressed. Home Instead has also been very accommodating at flexing their schedules when my uncle has a doctor's appointment. I used to try to coordinate this myself as I had done with my parents with a different Home Instead facility, but Chelly and the caregivers have been great at making all of the arrangements and informing me of any associated schedule changes. In the rare event of sickness or an emergency preventing a caregiver from being available for a shift, Chelly has always been on top of it and tries to schedule one of the regular caregivers that my uncle knows. I must say that Home Instead in Skokie has made my life easy in this regard and I have great peace of mind knowing that my uncle is getting superb care from loving and conscientious caregivers. They work really hard to make sure everything is perfect. I cannot say enough good words about Home Instead and how much they helped my mom and my family through a very difficult winter and spring, when our 87 year old mother was constantly falling and had other health issues. After several rounds between hospital and rehab, my mother's doctors thought it best we have her return to her home, with 24-7 care. We are a family of 11 siblings, spread out across the globe, with my mom living independently in Evanston. We had no experience hiring round-the-clock care, and had to make a decision, with about 2 days notice, on which agency to use. I was in from Boston, completely unfamiliar with the caregiving market in Chicago, charged with the hiring. I'm not sure how I came upon Home Instead; I only thank the heavens they were put in front of me. From the coordinating staff through the many caregivers sent to care for my mother between March and July, we had a caring village that supported my mom and her children every step of the way towards her recovery. In the beginning, our mom was not an easy person to work with; she was sick, scared, cranky and not at all her usual happy-go-lucky self. Yet, not once did any single caregiver waiver in their responsibilties to ensure Mom was safe and well-taken care of. Not once, in any stressful instance, did any caregiver act unprofessionally. Through the spring, our mother got stronger and stronger, and regained her usual happy disposition. We were able to reduce the caregiving needs down to 4 hours a day, 3 days a week. She developed a very close friendship with the caregiver who came those three days. In fact, the two of them spent the past month packing up our mother's condo contents, the caregiver listening to all the stories and memories behind our mother's treasuries and photos. This wonderful and kind caregiver not only helped our mother with her daily needs, she gave space and open heart to my mother as she said goodbye to the city that had been her home these past 35 years. We are happy to report, as of last weekend, my mother has moved to Wisconsin, to a beautiful Independent Living community and apartment. From 24/7 care four months ago, she is now living independently. In March we would have said my mom had less than 3 years left in her. Today, she looks and feels 20 years younger and we fully expect to be celebrating her 100th birthday. Without Home Instead, I know without any doubt whatsoever, we would not be thinking such happy thoughts. I called Home Instead on the last day of their service to us, thanking them for everything. It was actually an emotional goodbye, leaving this part of my mother's 'village' behind. Chelli was wonderful in helping with care I needed for my father in my home. She is compassionate and understanding and that helped me at a time when things were difficult for me. She understood what I wanted/needed and followed through with a caregiver that I just cannot say enough about, Tracey. From the moment I met her I felt like I could breathe again. I would recommend Home Instead to anyone with confidence. Everyone we encountered was so thorough! They tried to get to know as much as possible about my Dad and his situation. They were very amenable to sending different caregivers until we got the right fit. They were proactive about holiday coverage. They alerted me to situations that involved my Dad out of their own concern. The list goes on! And most recently: when we had an emergency need for overnight caregiving they found someone on the spot! And they continued to staff overnights until our emergency need was over some two weeks later. Karen was outstanding! She coordinated everything so professionally and communicated everything very well. In turn, the caregiver Novlette was amazing!!! She was SO patient with my father. She wrote very detailed reports on how things went. Honestly, Home Instead made some potentially difficult situations a breeze! I cannot say enough stellar things about them. Home Instead was receptive to my Father's needs and my own. The first contact I had with them by phone was very positive and helpful. They are patient with the family members, explaining everything that they do, and a staff member always brings a new caregiver to the home to introduce. My Dad had the same caregiver for the 8 months we used Home Instead and it made him feel very comfortable about having someone in his home. Home Instead was able to accommodate last minute changes to our schedule to make sure Dad was cared for. I can't thank Home Instead enough for making Dad's (and my) last months comfortable. Home Instead does a great job for my mother. We have live in care from them. Administration is excellent. Individual caregivers range from good to excellent. Some take more initiative than others. Important to be sensitive to privacy and dignity of the client. Home Instead LaGrange and Skokie, IL For nearly four years the care giving services provided by these two branches of Home Instead provided absolutely outstanding service for our mentally ill nephew who recently passed away. Both Mike of LaGrange and Gloria of Skokie were most loving and caring during each of their two to three per week visits and outings with Stephen. Mike was like a good big brother to him and Gloria like a loving mother. The administrative aspect of our experience was also consistently excellent with quick response times and crisp on target communication. 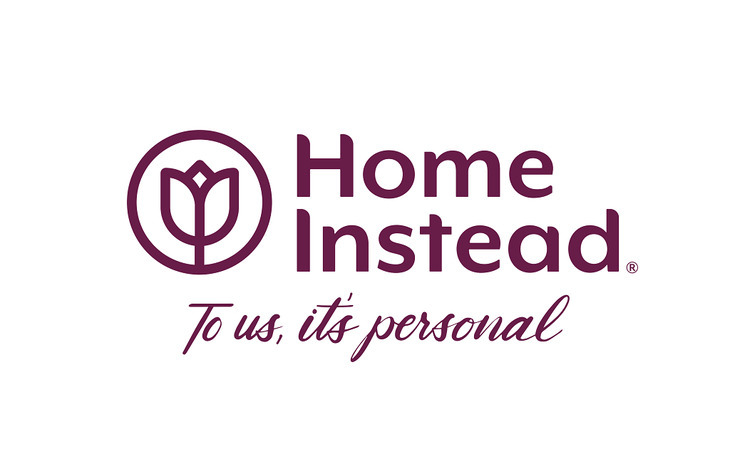 We recommend Home Instead without reservation and wish you the very best as you seek help for your loved one. Home Instead consistently provides high quality, caring, supportive, well-trained caregivers for in-home care and companionship. I have used their (non-nursing) services for my Mom for more than three years and been fortunate to have worked with a great team of caregivers during this time through various stages of my Mom's healthcare issues. The office staff, supervisors, client services director and everyone supporting the caregivers has been great to work with, caring, helpful, responsive weekdays and weekends, great communication, follow-up and follow-through - frankly, all the things we need to ensure support and companionship for my Mom. I highly recommend this organization. Our mother's Home Instead provider, "Nana", is reliable, patient and a wonderful companion who our mother looks forward to seeing 5 days a week. The office is great about communication with us and this year we purchased a brick at our motherÕs home recognizing Nana for all she does. All of the caregivers provided for my mom have been caring and competent. There is a tremendous sense of relief knowing she has someone with her on weekdays when we daughters have to work. Maria is awesome. She is really a professional and special person. Home Instead was very careful and sensitive when it comes to finding just the right person for my mother. Home Instead is meticulous about keeping me informed of any changes in the schedule. I also appreciate the helpful suggestions that have been offered. Best ever! They really care for me! I would like better consistency with caregivers. I observed too many turnovers. I do have good working relationship with the admin staff. They are responsive to my questions. Home Instead provides excellent senior care. My 92 year old father had an emergency stay at the hospital and I needed immediate round-the-clock coverage for my mother (my parents live at home) and then both of them when my dad was released. Karen and her staff hit a home run by providing the care my parents needed with a team of A+ TLC care-givers. What a relief ... And what a blessing! I can't say enough good things about Home Instead. We used Home Instead for my sister who is quadriplegic. We were very nervous about leaving her alone in the hospital. As a geriatric professional who has used many agencies for my clients I choose Home Instead form my family. They were kind, compassionale and very professional. I was able to sleep good knowing they were there. They exceeded my expectations!!! Home Instead Senior Care can help with compassionate, home elder care services delivered right in your loved one's home. Whether a few hours a day or long-term care 24 hours a day, a CAREGiver can assist you. All CAREGivers are thoroughly screened, extensively trained, insured and bonded, matched to your preferences, professional and reliable. Home Instead Senior Care understands that making the decision to use outside help for caring for an elderly loved one is difficult. That's why we provide a wealth of senior care resources and Alzheimer's and dementia care resources for you to consider. Home Instead Senior Care offers a wide variety of services, which may grow to include activities and support that are unique to you and your elderly loved one's needs. Call us to arrange a FREE in-home consultation. About Us: Owners Jackie & Michael Melinger opened their first Home Instead Senior Care office in Skokie, in May of 2001. Soon they expanded, opening additional offices in Park Ridge and Chicago. Home Instead Senior Care is an internationally franchised company based in Omaha, with offices in 15 countries. Agency Extra: Each Home Instead Senior Care Franchise Office Is Independently Owned And Operated. What should caregivers and potential clients know about Home Instead Senior Care - Skokie, IL?